Library Programs return to Orange City Library for School Term 1 on Monday 4th February with 1,2 Books at 10.15am, Ten Minutes A Day at 10.45am, a repeat session of 1,2 books on Tuesday 5th, and Storytimes on Tuesday 5th Feb, Wednesday 6th and Thursday 7th February at 11am. Code Club for Beginners returns on Tuesday 5th February at 5pm. Music For Little Ears returns on Wednesday 6th February and Friday 8th February at 10am. Please book your place online for these events through eventbrite.com.au. 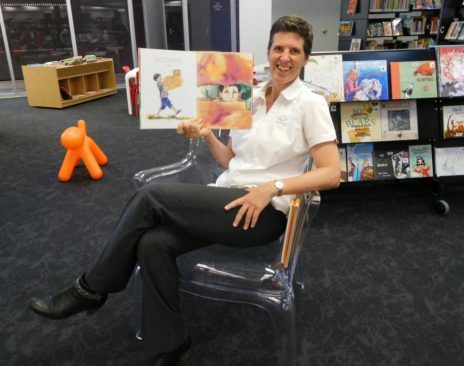 Storytimes at Cowra Library return on Thursday 7th February at 11am. They are held on the first Thursday of the month during school terms. Please just come along for these sessions – no need to book and enjoy stories and craft. Storytimes at Blayney Library return on Thursday 7th February at 11am. They are held on the first Thursday of the month during school terms. Please just come along for these sessions – no need to book and enjoy stories and craft. Storytimes are back at Forbes Library on Friday fortnightly at 10.30am February 15th then March 1st, 15th and 29th while Birth to Kinder Rhyme Time is back on alternate Fridays at 10.30am on February 8th, 22nd, March 8th and 22nd.